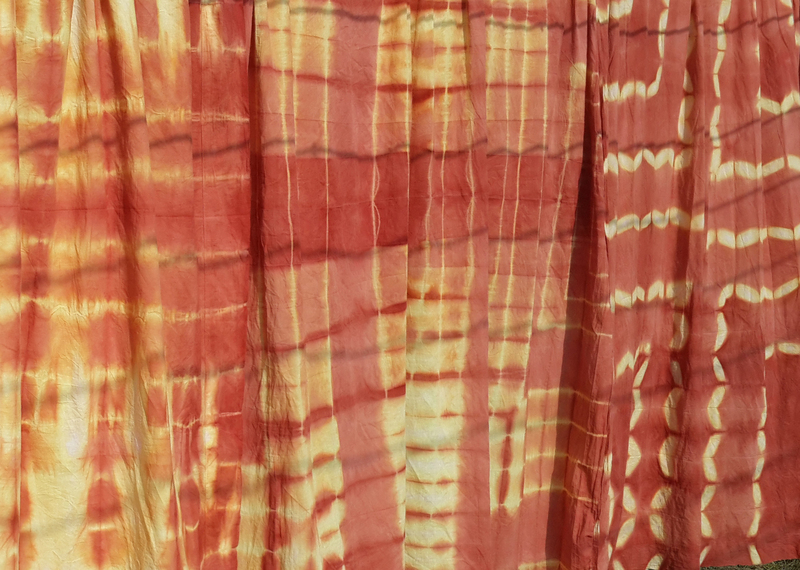 We have mastered both Batik (wax is applied) and Shibori (the cloth is tied or stitched into folds). Both dyeing techniques are all about the creation of exciting patterns by stopping parts of the material from getting dyed and they can also be combined. The natural indigo fermentation pots need continuous care, every day of the year, and all our work is a labour of love. Our master dyers know the ins‐and‐outs of the smells and the textures and the dips that give the best results. Generally speaking, it is the number of dips that determine the depth of colour. 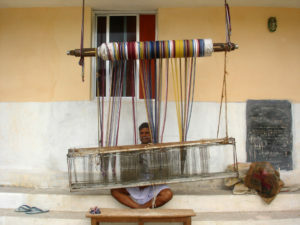 We also have access to the best weavers, tailors and embroiderers. Shibori is a traditional Japanese textile art dating back to the 18th century. The word comes from the Japanese and means ‘to wring, squeeze or press’, emphasising the action performed on the cloth before it is dyed. 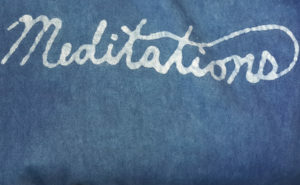 Just like tie‐dye, shibori is a resist‐dyeing process. Tie‐dyeing is accomplished by folding the material into a pattern and binding it with a string or rubber band. Dye is then applied only to parts of the material, not the ‘hidden’ parts. 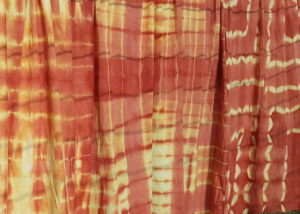 Shibori offers a wider range of techniques. We first create a design, then work on the cloth or garment by folding, crumpling, stitching, plucking, twisting, knotting, pleating, binding, clamping, or pole wrapping. Often many different techniques are involved. Batik is another ancient art that has been handed down for thousands of years. It spread in the Middle East, Africa, Indonesia, Malaysia, China, Thailand, the Philippines, India and further. Today, batik is known and used all over the world. Worn by men and women alike, batik is a wax‐resist dyeing technique. Wax is applied to portions of the material (usually a fabric or a garment) which is then dyed. Later on, the wax is removed. One could say that batik is the reverse of normal painting; instead of colouring areas with a brush, you use wax to cover areas you don’t want coloured. We prepare blocks, normally using a wooden base and nails of uniform size and shape, resulting in the desired designs. Not only do we produce dyes and dye fibre, threads, yarns, fabrics, garments and interiors. Scarves, T‐shirts, jeans, dresses… you name it, we can supply it, or just the fabric. We are comfortable producing a range of naturally dyed textile solutions for interiors. In case you need embroidery, we have access to the best artisans around. To remain on the cutting‐edge we make continuous visits to weavers near or far, but we are the most happy when we are able to employ women in Auroville or in Kottakarai, the village where we are based. Why not send an enquiry? Remember that we can take care of the entire chain, from seed to seam. 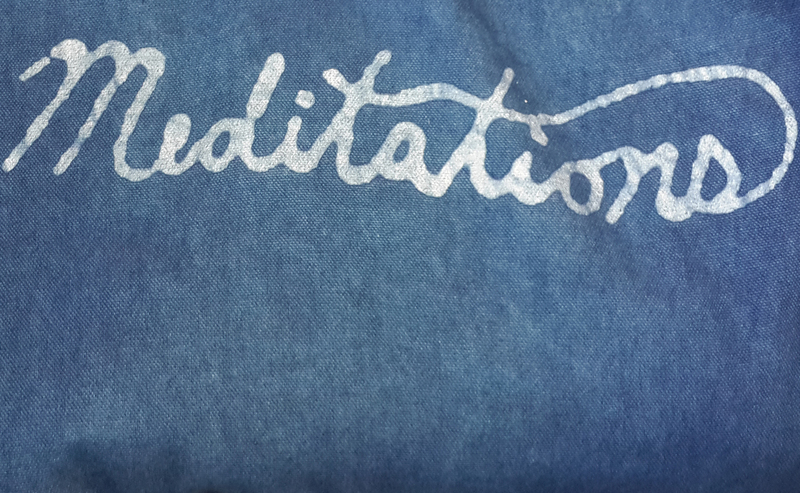 What can we dye, weave, stitch or embroider to delight you?